This is a pair of Pin Point Buggy 4WD Front Carpet Tires. 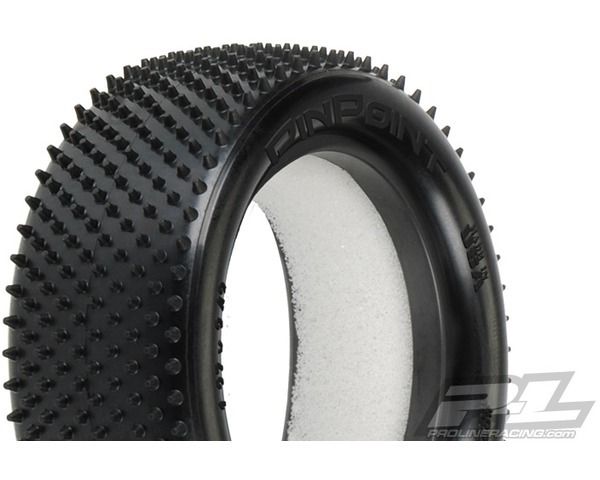 Pro-Line now offers the popular Pin Point 4WD Front tire in the softer Z4 compound! Z4 compound is perfect for U. S. style carpet tracks and will provide more overall grip than Z3 compound. The Pin Point has tons of Ultra-Sharp Pins in a unique Sine Wave pattern that grip the carpet better than hook and loop. This new Z material provides the superior grip on a variety of surfaces used indoor (carpet, wood, cardboard, plastic, etc. ) .